Hey guys, one of my favorite parts about Summer is road trips. I love exploring new areas and bonding with my hubs over silly car games and making music videos to trendy songs! 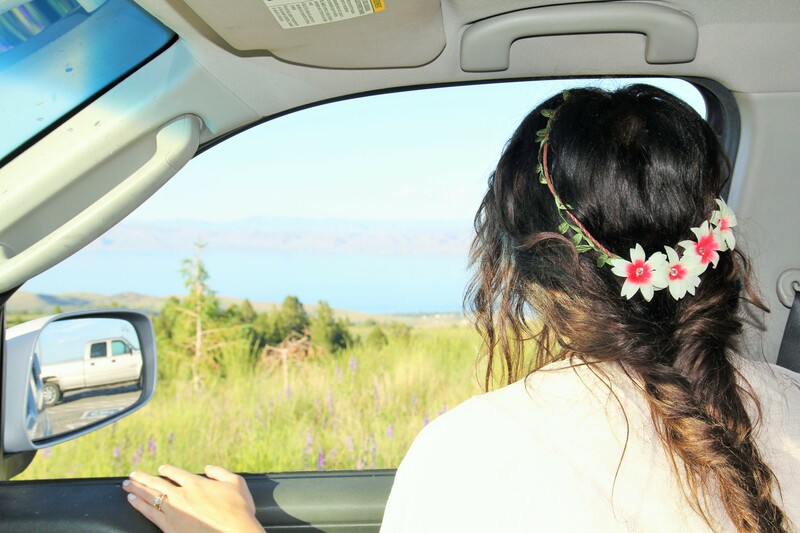 Every Fourth of July we go up to Bear Lake, it is such a blast and a beautiful drive! I hope you all have a fabulous Long weekend! What are some of your favorite road trip places to visit? Absolute boho perfection on you!! 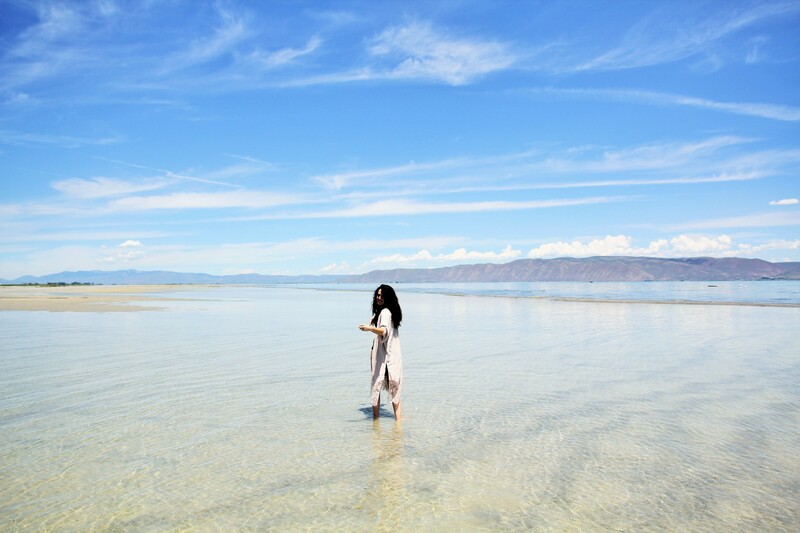 This backdrop is also stunning – where is this Bear Lake?? haha its gorgeous up here, half of it is in northern utah so up past Utah State (the college) and the other half is in Idaho. It looks like you really have there in Bear Lake. Wish I could visit there soon. Anyway, you’re swimwear is gorgeous. As always, you are simply stunning! What a gorgeous look! Love the fringe with the crochet- you look amazing! Gorgeous pictures! You look amazing. I love the flower crown. Beautiful photos, may I ask what kind of camera was used? thank you!! xo sorry I dont know I use a photographer! Amazing post! All of your pictures are gorgeous.